Beijing is brightened by its glorious past, but is by no means stuck in the past. Behind its rich and complex historical tapestries, everyday life unfolds with bewildering variety. From the commanding austerity of the Forbidden City to the hectic bar street at Sanlitun, Beijing is overflowing with a unique charm, beckoning visitors from around the world to lose themselves in the furious pace. You may list hundreds of reasons to visit Beijing, but the following reasons should be on the top of the list. Beijing boasts a history of more than 3,000 years, of which more than 800 years were as the national capital. It has many places of historic interest, including the Temple of Heaven, where ancient emperors performed solemn rituals for bountiful harvests; the Summer Palace, ancient emperors summer retreat; and the Ming Tombs, the mausoleum of 13 emperors of the Ming Dynasty. 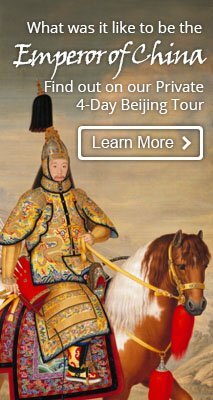 Tours to visit Beijing&apos;s historical sights. Beijing holds many magnificent sights that set national or even world records, including the Great Wall, the longest man-made structure in the world; the Forbidden City, the largest and best preserved ancient architectural complex in the world; and Tian&apos;anmen Square, the largest famous city square in the world. One of the major attractions in Beijing are the zigzagging hutongs, an integral part of Beijing&apos;s local culture. Created in the 13th century, the Hutongs are actually small public alleys with private courtyard residences. It is the way Old Beijing used to be. Hutongs are like folk-custom museums, presenting a window into a traditional way of life intertwined with the old architecture and maze of narrow streets. 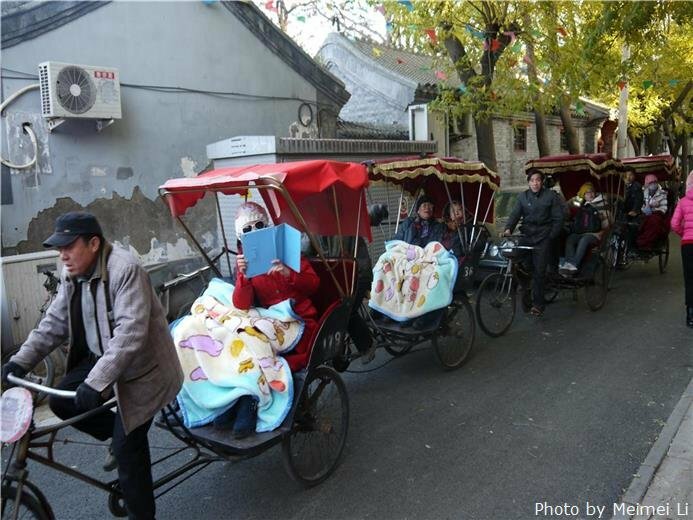 Take a Hutong Tour to experience Beijing&apos;s traditional lifestyle. 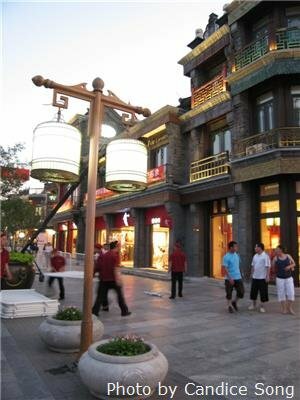 Beijing has several shopping districts offering a mind-boggling variety of goods. Besides the traditional shopping districts, including Wangfujing Street and Qianmen Street, the lively outdoor markets should not be missed by foreign travelers. 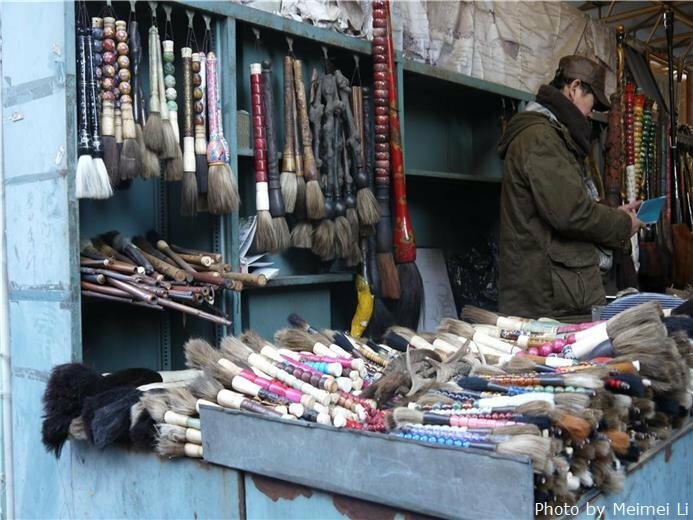 Check out Panjiayuan "Antiques" Market and Xiushui Street for local specialties such as fresh-water pearls, antiques, silk, and much more. As the capital city of China, Beijing attracts people from all over the country and the world. 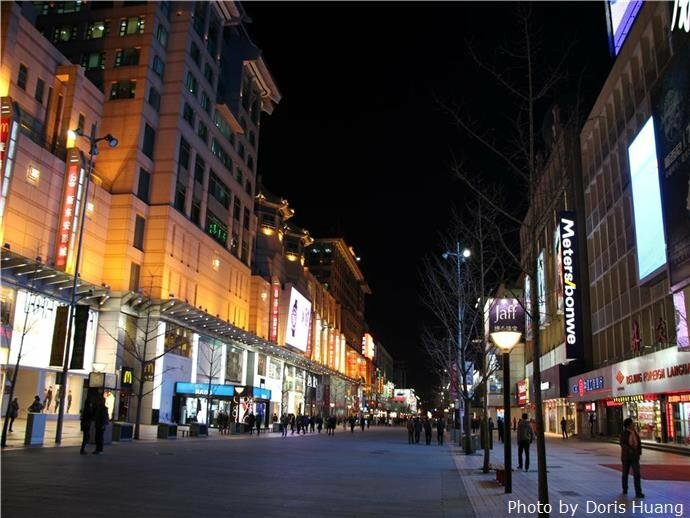 The diversity and vitality of the city has endowed Beijing with a varied and colorful nightlife. Lots of people choose to relax themselves in the bars. 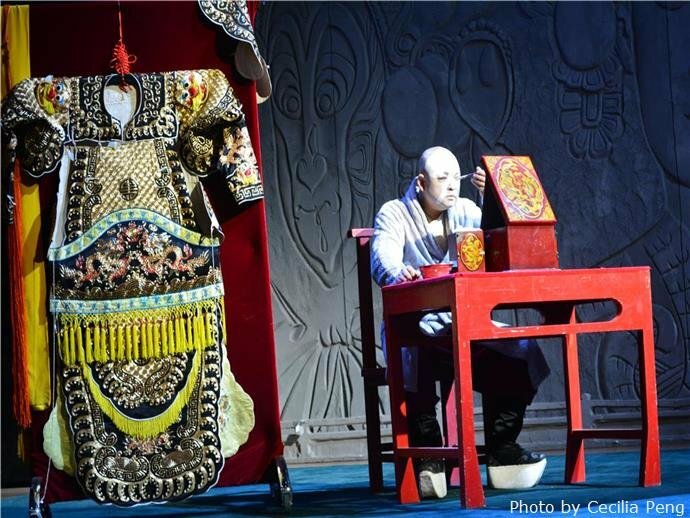 The numerous shows and performances, including Peking Opera and acrobatics, are attractive to lovers of live entertainment. 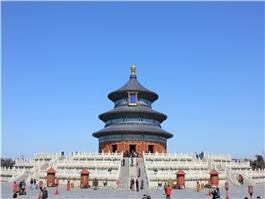 Beijing has great appeal to both domestic and international travelers. 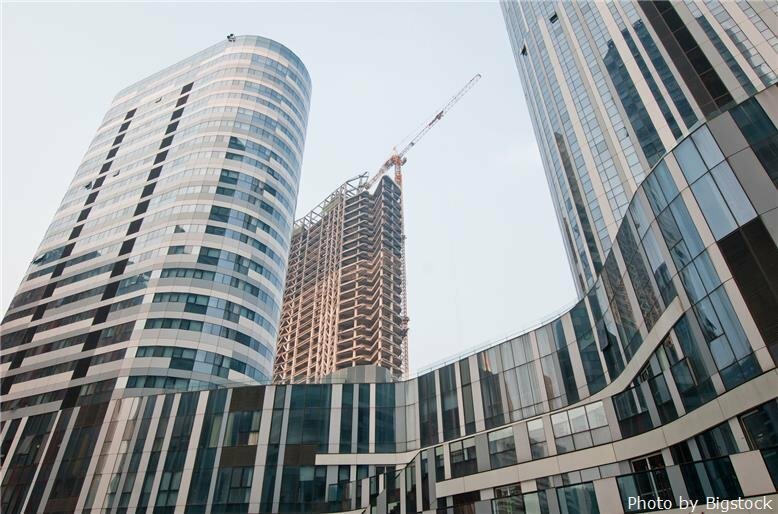 To cater for the booming tourist industry, Beijing provides accommodation that can meet all budget levels, including boutique hotels, star-rated hotels, hostels and inns. As the nation&apos;s capital, Beijing is the center of domestic transportation. It also has many international direct flights to major cities of the world. 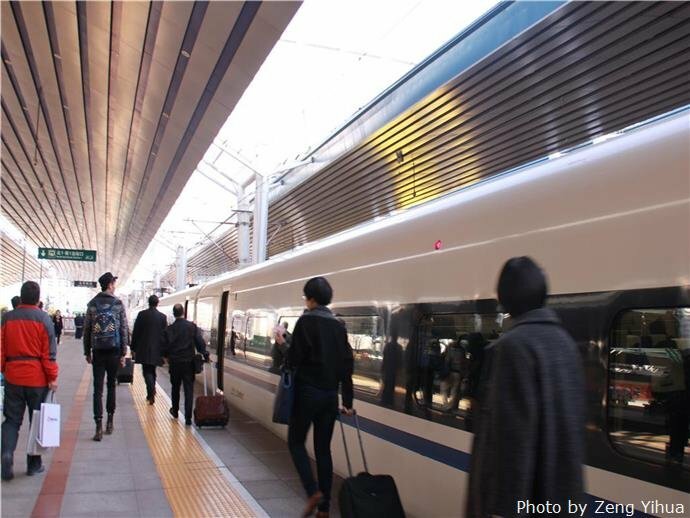 Air and rail connections link Beijing to virtually every point in China, and fleets of buses head to destinations around Beijing. 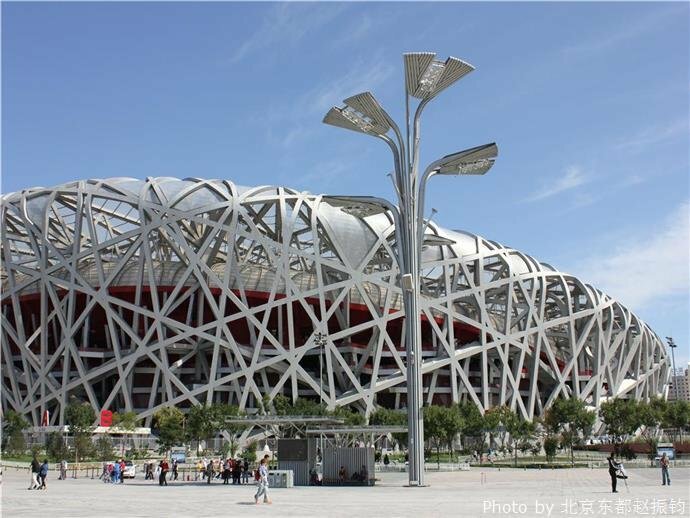 Beijing magnificently hosted the 2008 Olympics. The city as well as the whole nation geared up enthusiastically for the Games. The city has become even more beautiful and the air cleaner as a result. A visit to the Olympic site will offer you an aftertaste of the glorious moments of this magnificent event, and a chance to view a couple of architectural marvels holding state-of-the-art sports facilities. Before you ask yourself why should I travel to Beijing? You might ponder upon why so many travelers keep coming back? Records from tourism bureaus in Beijing and other Chinese destinations like Shanghai, Tibet and Yunnan reveal that thousands of tourists year after year return to these same places. Beijing in particular has a long line of loyal visitors. So what keeps them coming back? And these are just are just a mere few of more than 900 attractions or government protected sites. Many Beijing locals haven’t seen them all. See Beijing Attractions. The options are literally endless and there’s sure to be something that appeals to all walks of tourists. Broken into 5 ring roads the city has more to see than stars in the sky. The first ring is the center of tourism: China’s Modern History Museum, the mysteries of The Forbidden City and the world famous Tian’anmen Square. The second and third rings are rich with shopping centers like Golden Resource Mall, the largest in the Asia, international restaurants, including the Diao Yu Tai Restaurant, regular host to President Barack Obama during his Beijing visits and nightlife like Vics and Mix in the Sanlitun bar and club center. The fourth and fifth rings allow visitors to enter the peaceful and mountainous views of the country side. Fragrant Hill, the city’s most visited hiking and camping locale as well as the breath-taking Sakura Preservation Park both serve as escapes from the bustling city center streets. There is also some of the most diverse shopping anywhere in the world. The Ya Show Shopping Center, Zoo Whole Sale Market, and Silk Market offer some of the world’s hottest brands at the world’s cheapest prices. Definitely stops for any shopper with a taste for luxury brands. 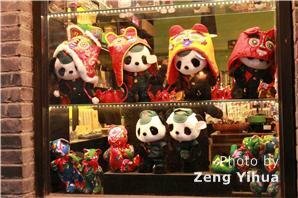 On both the Wangfujing Shopping Street and Qianmen Street one can find a variety of ethnic souvenirs that range from Tibetan prayer beads to Mao Era memorabilia. Zhongguancun, dubbed China’s Silicon Valley, offers cheaper than ever wholesale costs on top-brand electronics with a little bargaining. The juxtaposition of modern and ancient structures and culture is not just one of the most astounding spectacles on the city’s landscape but it also keeps foreign tourist coming back. A five hundred year old hutong nestled under the shadow of a towering skyscraper or a high-tech super-modern structure across the street from an ancient empirical palace is an awe-inspiring treat that never get old. This in addition to the lightning-fast city development and construction keep the face of Beijing under an unending facelift; tourists return to something new each year. Many travelers worry about the number of people in the city but unlike most overcrowded metropolises Beijing has what is called a population advantage. The 56 ethnicities from every corner of the country are concentrated in the city, making it not just the political but cultural capital as well. 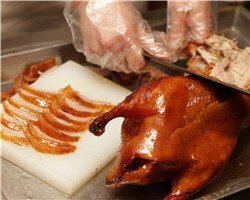 Cuisines and tastes that are foreign to even the Beijing locals tempt tourists to return even before finishing their meals. 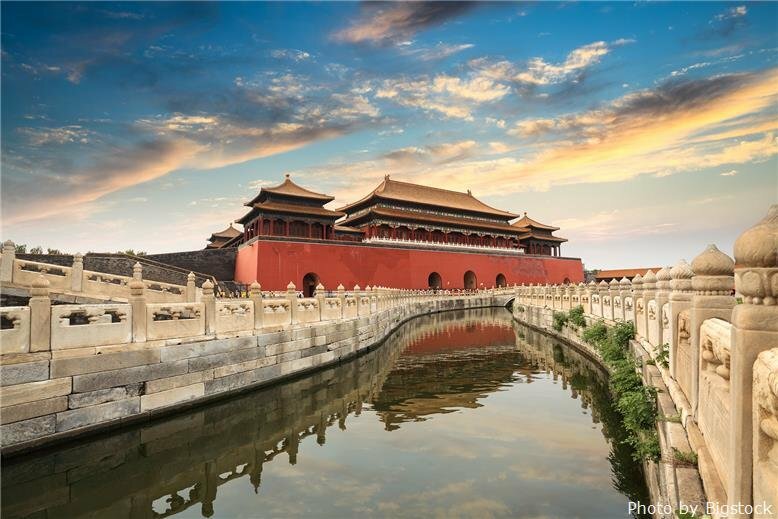 No matter what part of the city tourists find themselves in, Beijing will offer enough culture and history that even a detailed tour is just an inkling of what is offered. 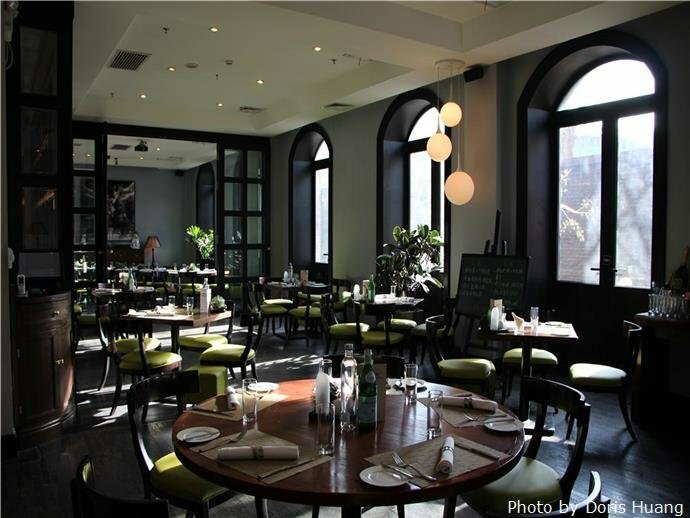 This is what keeps visitors coming back to Beijing, like the exotic ethnic cuisines, it so good that they’re never full. 76% of our customers and their friends come back to travel with us again. 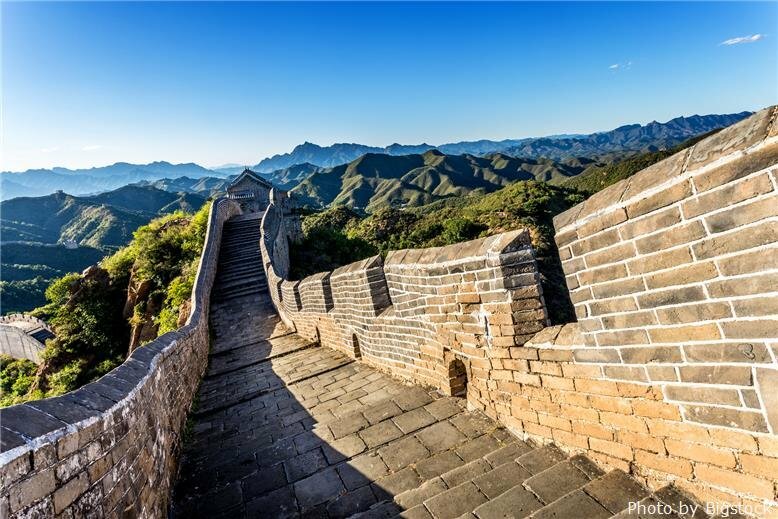 If you saw the main attractions in Beijing on your first China tour, you may want to look through our varied range of Beijing tours for something different. Alternatively contact us or fill in a tailor-made form to let us know what you want to see more of, or experience for a change. Our consultancy is free, and it’s our pleasure to put together tours that are just right for you.